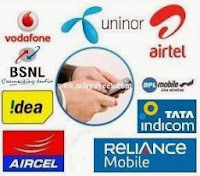 In this post you can find several manual GPRS (General Packet Radio Service) settings for Indian Telecom Networks like Aircel, Airtel, Airtel Live, BPL Mobile, BSNL, Idea, Reliance, Tata DoCoMo, Uninor, Vodafone and others. Please note that, before using these GPRS settings on your mobile, make sure you have activated GPRS on your number. Ignore the option/s that you can’t see on your phone. You can use anything in Account Name field. You can also set your any favourite site as Homepage. If you need any other GPRS/EDGE/3G/4G Settings, Just leave your comment.